After a disaster, you need immediate response to minimize business interruption. That’s why PuroClean is available to respond 24/7/365 to any size emergency. PuroClean provides rapid response and offers remediation service from industry-certified restoration professionals. 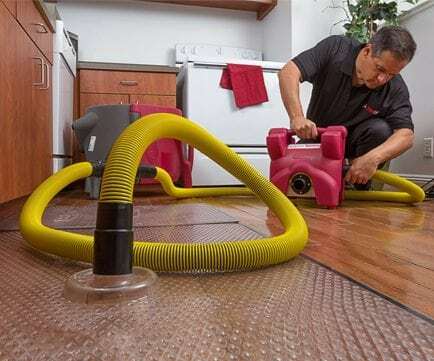 Whether it is a loss due to water, fire, vandalism, mould or a biohazard, we are prepared to mitigate your loss with expertise, compassion, and respect. Our restoration franchises respond with urgency and handle your project from start to finish, including reconstruction. We stabilize your facility, assess your loss, and plan for the rapid recovery of your site. We do everything we can to ensure you regain use of your property quickly and reduce or prevent long-term damage. In order for repairs to begin quickly, we can assist you in preparing your site, saving you additional expenses and time lost. The PuroClean Emergency Management Plan (EMP) is designed for commercial clients who are seeking to improve their emergency preparedness. In addition to emergency planning for all types of events, the program also offers risk management and assessment. Our EMP can help you manage any crisis and minimize the negative effects on your business, your property, and your customers. PuroClean professionals carefully evaluate and assess your facilities before an event occurs. This helps us form a clear plan to provide proper response in case your business suffers a crisis. Each of our business clients has a customized Emergency Management Plan. No matter when you call, in the event of an emergency, we will respond to your response request with urgency, following the custom procedures specified in the EMP. Our restoration professionals will work quickly to get your business back up and running as soon as possible. To find out more about our Emergency Management Plan and training, please contact us at (877) 261-7876.